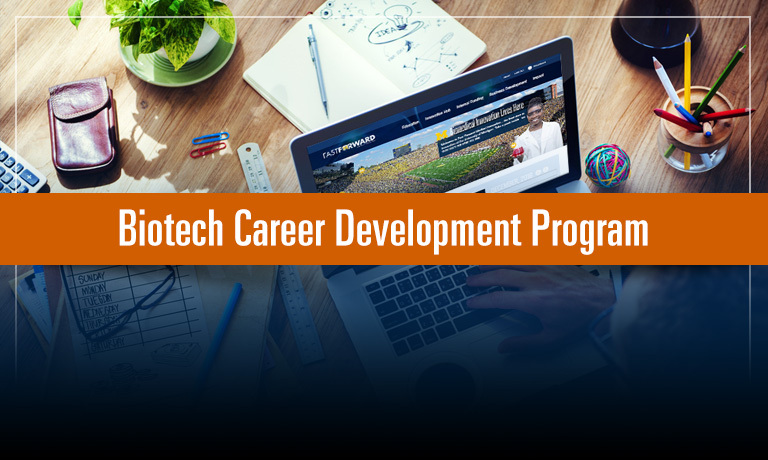 The Biotech Career Development Program (BCDP), formerly the Biotech Career Exploration Program, is a structured program to educate, train, and provide career exposure to many aspects of biotechnology outside of the traditional academic tenure-track faculty position. There will be two sessions per month (each one hour in length, generally). One of the monthly sessions will be a panel discussion focused on different career sectors. The other session will be focused on skill building. All of the sessions will run Thursday or Friday mornings, from 9:00am – 10:00am (approximately) at Taubman Library or another nearby location. We are accepting applications from graduate students, postdoctoral fellows, and early-career scientists from life science programs. 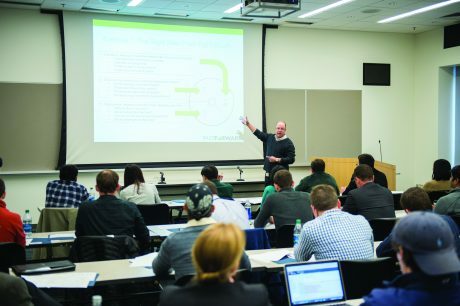 Throughout the program, trainees will engage in a series of workshops, seminars, and panel discussions to explore career options and prepare for an experiential learning opportunity with an on-campus unit, small business startup, large corporation, non-profit organization, governmental agency, law firm, or any additional non-academic entity. Offer non-academic employers access to trained students, fellows, and early-career scientists and serve as a single point of contact for workforce recruitment and development in the life sciences.